Hamilton Company has been a leading global manufacturer for 60 years, making precision measurement devices and automated liquid handling workstations. A long-time client, Hamilton approached V2Works with a desire to expand their exposure across the web, but didn’t know how to go about it, especially for the B2B (business-to-business) sector. Lacking a solid direction to pursue, the project required an in-depth discovery phase to ascertain the most prudent digital media strategy for B2B. Combining the latest research and extensive field experience, V2Works came up with a digital game plan. Based on the overall goals and extensive research from the discovery phase, V2Works developed a competitive strategy to increase Hamilton’s social media exposure with a focus on LinkedIn, the major social networking site designed specifically for the business community. We worked closely with Hamilton’s team to create industry-relevant posts that target their customer base. 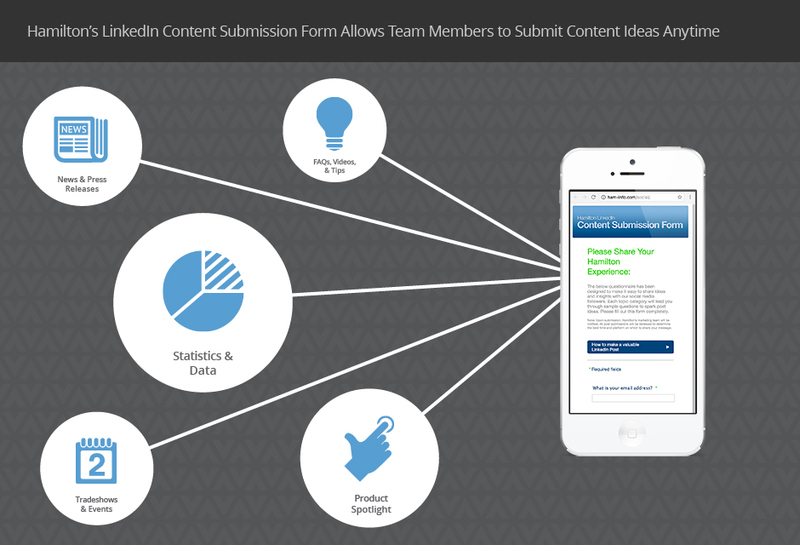 In addition, V2Works created a customized web interface for Hamilton representatives to easily submit content for sharing across a social platform. In this way, we were able to capture exclusive behind-the-scenes content from conference shows that Hamilton attends, as well as insights from engineers and other key personnel from across the organization. 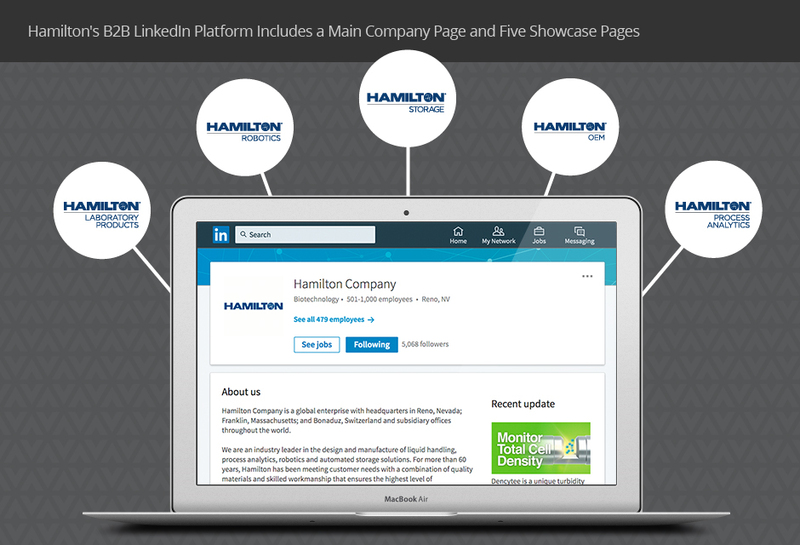 This data was distilled into a carefully curated stream of industry-relevant LinkedIn posts, organized into a comprehensive editorial calendar distributed across Hamilton’s six main business units via showcase pages, each aimed to a specific customer base. Along with the LinkedIn program, V2Works developed a perpetual Google AdWords strategy in order to boost Hamilton’s online advertising presence and boost eCommerce sales. With key goals in mind, V2Works retooled the existing Hamilton AdWords account to cut costs, while also increasing conversions, clicks, and site sessions. Utilizing the business-specific social network LinkedIn, as well as Google advertising, V2Works was able to significantly boost Hamilton Company’s online presence. 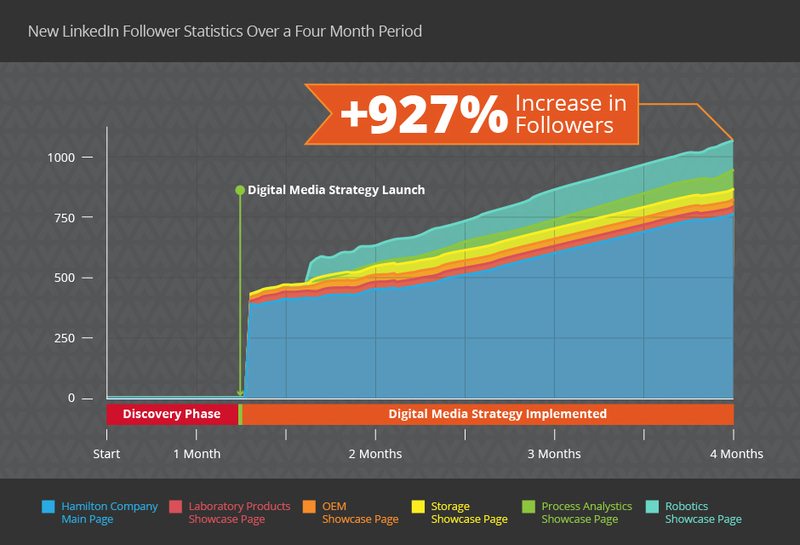 Through careful management of the LinkedIn strategy by V2Works, Hamilton Company saw a massive increase of over 1,000 followers within one calendar quarter, representing a 927% increase in followers compared to the previous quarter. 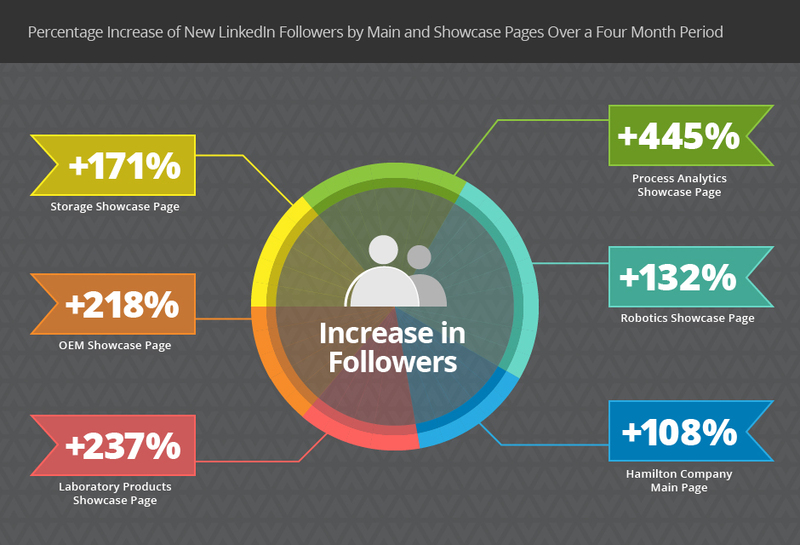 By the same token, V2Works management of the account also boosted LinkedIn interactions by 562% in the same time period, with increasing comments and shares each month. Digital advertising also saw positive gains, as V2Works decreased daily ad costs by 28% while increasing total conversions by 26%. We accomplished this by trimming waste at every corner while simultaneously enhancing advertisements with relevant links and information. 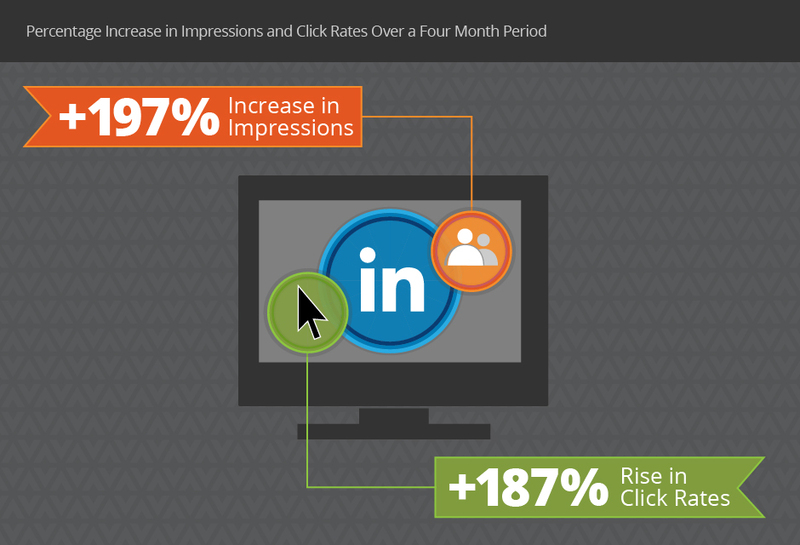 Through the improvement of online advertising, total impressions from advertising increased by 197%. 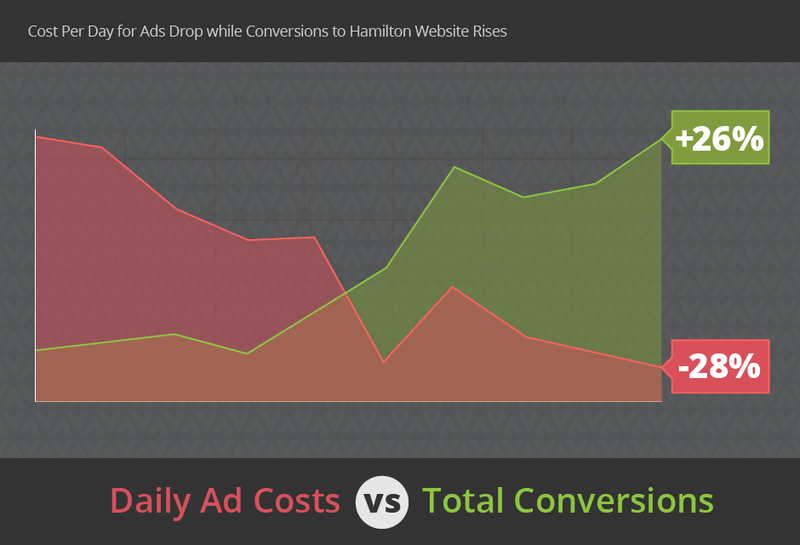 Additionally, during a 10-month period, Hamilton’s AdWords click rates rose 182%. Even more impressive, web sessions directed to the Hamilton Company website more than quadrupled under V2Works management, with a 473% increase.